Cydia Unlocks: How To Block Ads On iPhone iOS 9? How To Block Ads On iPhone iOS 9? Ads add interactivity and liveliness to the content. Many times they also provide useful sources of information and other resources. But sometimes ads could be embarrassing. Mainly because there are too many ads on a page or they are not relevant. At such times you might get irritated and leave the page or close the tab. By doing so you might lose some valuable information that is present on that page. So why not try a different solution. That is block the ads. Block the ads in safari and other apps so that you can use their service without any external disturbances or so. Here I am sharing with you some very efficient ad blocking Cydia apps through which you can block ads on iPhone iOS 9. Just download these apps from best Cydia sources and set them. All the irritating ads will then disappear. AdBlocker 2 is a cool Cydia app that will serve our purpose. 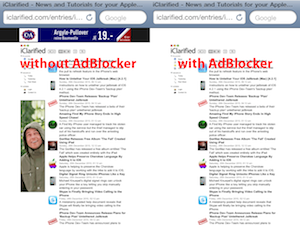 AdBlocker 2 works as a simple yet powerful tool that blocks image ads in Safari and other browsers. Once you install it no pages in Safari will show ads. AdBlocker 2 blocks ads not only in Safari but also other browser like apps that uses UIWebView. For example say you are using twitter on your iPhone. Now twitter uses Skyfire browser in its client to display ads. So these ads will be blocked by AdBlocker 2. Whenever you will open Safari AdBlocker will block the ads and will try to optimize the space. AdBlocker regularly updates itself from with the ad block lists from the server. So you need not to configure the list manually. Just connect to internet and AdBlocker list will get updates by itself. AdBlocker has a huge list of ads to block in over 17 languages. And you can also add ads to the list manually. Applications that run as root (only a few apps from Cydia) are not supported. Allows you to add custom lists to block specific undesired ads. Blocks image based ads and Youtube app ad videos. Easy to set and readily available settings option. Note - AdBlocker 2 does not block iAds or AdMob like advertisements and is suitable for browser powered ads only. Price - AdBlocker 2 is available for FREE on Bigboss Cydia repo. Youtube Plus Plus or YT++ focuses mainly on making the Youtube experience brighter. 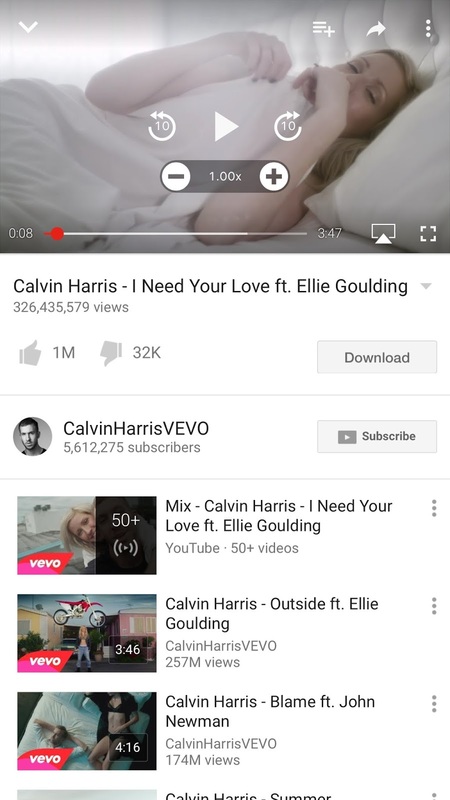 YT++ blocks all the ads on Youtube only and allows video downloads along with playback speed control. Youtube Plus Plus is compatible with both iPhone and iPad and is a must if you are a Youtube freak. Thus YT++ not only make your Youtube surfing ad free but also enhances the user experience by providing many other cool features like disabling age restriction to choosing the default main page and download videos on iPhone. Price - Youtube Plus Plus is available on BigBoss Cydia repo for FREE. So these were some of the best Cydia apps to block ads on iPhone iOS 9. Do install them and make your browsing experience hassle free.